In one of the most historic election years in memory — besides the year a young U.S. senator from Chicago became the first African-American president and the year a pompous reality TV star and coddled businessman became the 45th — the American political landscape may drastically change. Democrat Ayanna Pressley could become the first black female elected to Congress from Massachusetts. 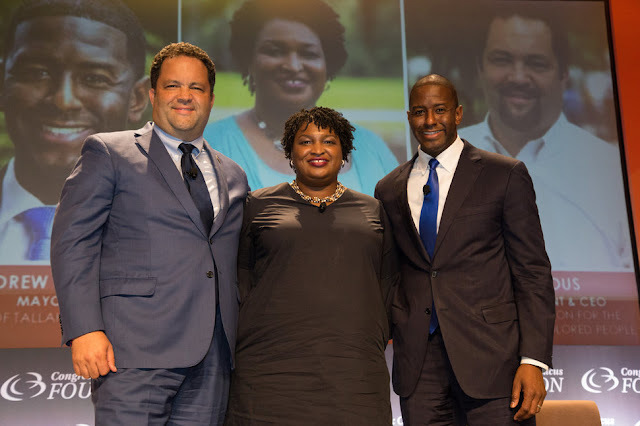 Georgia Democrat Stacey Abrams could become the first black female governor America has ever had. Democrat Andrew Gillum could become the first black governor of Florida. Democrat Ben Jealous could become the first black governor of Maryland by besting a popular Republican opponent. It’s a long shot, but most voters in Maryland are Democrats. So while much has been made of the blue wave making its way across America, we better pay attention to the black wave. But besides the blue wave roiling America, there is a very real black wave. And both the Democratic and Republican parties, which have been tone-deaf to the disdain many Americans feel for traditional politics, better wake up.